For my fairy garden I have shopped in all departments of various stores to find my pieces. 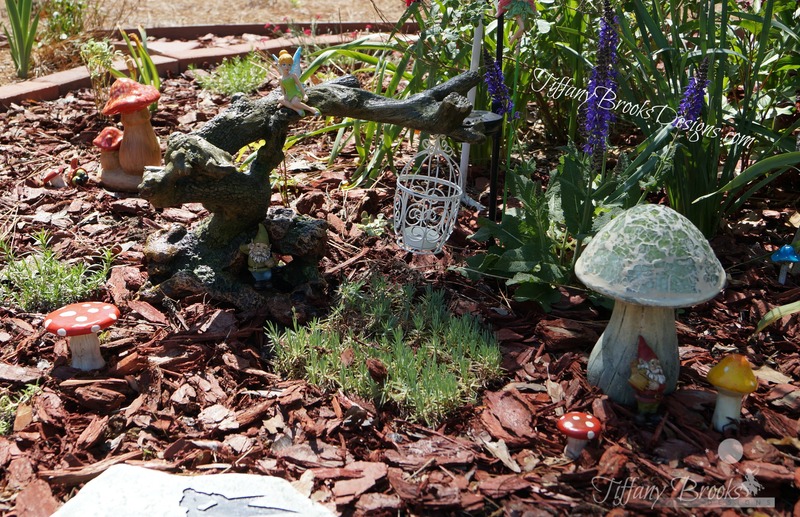 There are no special supplies needed to build a fairy garden or as mine is called a fairy village. My favorite piece is this natural looking reptile ornament from PetSmart. I love how the wood is shaped and how the branch sticks out just right to hang a small bird cage on. Since the lanterns I made from succulents and moss were too big to hang from this piece, I found miniature bird cages from Michael craft store. I was able to find a great selection of doors in various sizes at Hobby Lobby. The doors can be placed in front of tree trunks or rocks. 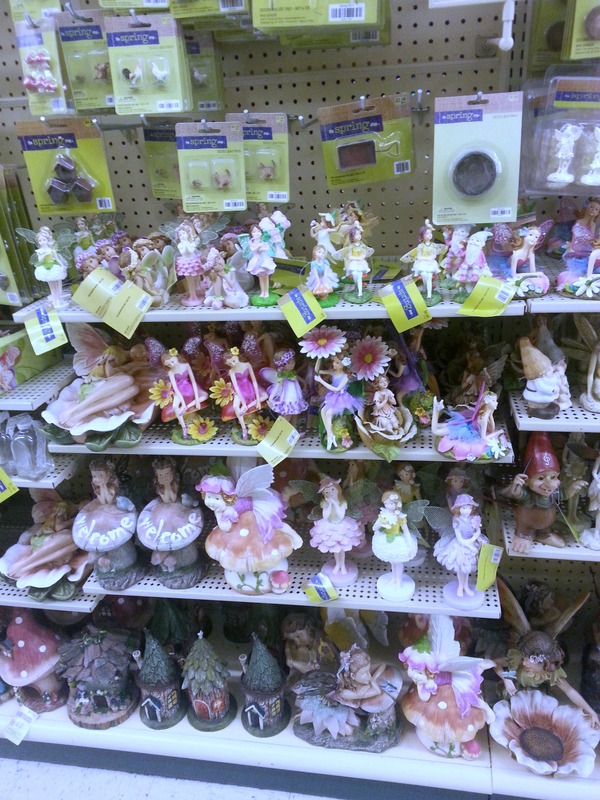 Also at Hobby Lobby I found a great selection of fairies to use throughout my fairy village. Some of the fairies can stand in my garden and others were on metal sticks to look as if they were flying or hovering over my flowers. I have found so many different sizes of mushrooms to add to my fairy village. The big mushrooms with a door added will look like a fairy house. The small mushrooms are great accent pieces throughout the village. Every piece I bought for the fairy garden I sprayed with a clear coat to help protect from the sun and rain. When the fall comes I am going to pack everything up and store it in the garage till next spring to help it last longer. If you are going to spray your pieces before sitting them out, be sure to buy a spray that is for the type of material your pieces are made of. Thank You! I knew with all the ideas I had swimming around in my head a flower pot was to small for my vision. So why not part of the garden.